The strength of your buyer list can make or break your chances of success. Finding the right acquirer for a business can be the most challenging task in M&A. Prices can always be negotiated if people don’t agree. Alternative targets can be found if you lose a deal. But you can’t sell a business without an acquirer. For sellside advisors, the one thing with the highest impact on whether or not you complete a sale is the strength of your buyer list. Building a top-notch buyer list can single-handedly help one investment bank win a deal over another. 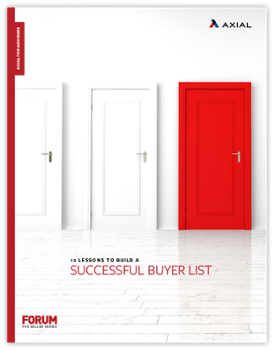 This guide will show you how to construct a buyer list that will ensure a successful close.